I give you Guitar Gym Weekly Workouts v.3-6! 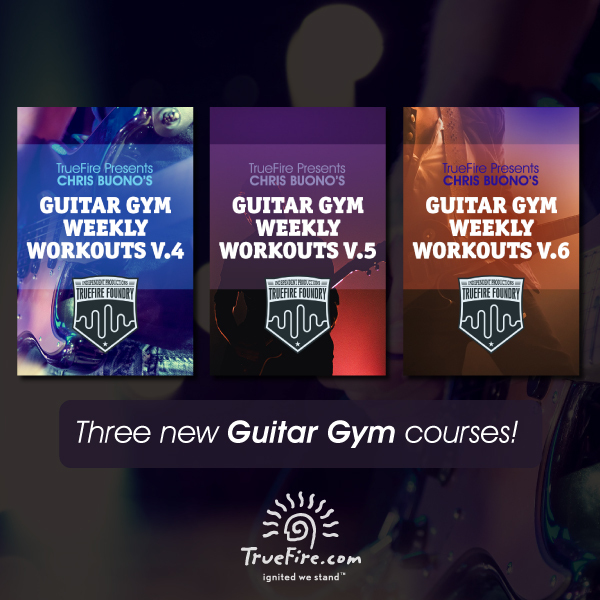 This completes the set of 48 Weekly Workouts I produced in 2015 for my Guitar Gym Online Classroom. You can grab any one of the six volumes from my web site’s TrueFire​ Mini-Store.